The big day on the UAL sports calendar had finally arrived. Varsity seemed to come and go just like that, but what a day to be a part of. 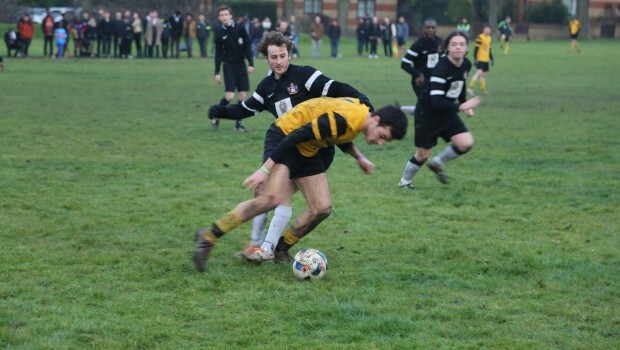 UAL and Goldsmiths met at Haberdasher Aske’s sports ground in Nunhead, south London for the first time in Varsity history. The sun was shining and crowds were beginning to appear, with both sides hoping to go home with The Arts Cup. The first game of the day was the Men’s football 3rds. A quick start from the Arts saw them go 1-0 up in under a minute, but Goldsmiths managed to grab one back to set the scene for a competitive day. UAL scored two more before half-time, which almost put the game to bed. However, Goldsmiths came out for the second half all guns blazing, managing to get another goal back to make it 3-2. UAL dug in deep to avoid conceding again and in turn scored soon after the Goldsmiths goal. With Goldsmiths heads held low, the Arts scored three more before the final whistle, with striker Marley Nesbitt hitting a hat-trick. The game finished 7-2 to UAL and an exciting day was up and running. 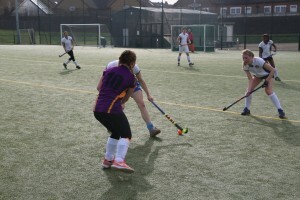 There were two match-ups at 11am, with Badminton and Netball 2nds the second and third games of the day. 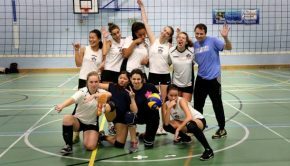 Wins were shared as UAL won the badminton against a strong Goldsmiths side, and Goldsmiths Netball 2nds won 26-22. In the sole noon start, Arts triumphed 15-8 over Goldsmiths in Ultimate Frisbee. 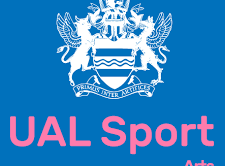 Men’s football 2nds kicked off at 12.10pm with UAL raring to add to the 3rds’ victory, particularly against a Goldsmiths team which hadn’t impressed in the league this season. There were glimpses of some good football in the first half but no stand-out performances from either side, so it was 0-0 at the break with all to play for. The game looked to be going to penalties, with last year’s shoot-out still fresh in the mind of both sets of players. Then a moment of genius from Arts midfielder Nan Xie saw him produce a mesmerising run through what seemed to be five Goldsmiths’ players and then stroke the ball past the opposing keeper. With just minutes to go, Arts’ must have thought it was all over. However, a late Goldsmiths shot forced a save from Arts’ keeper James Hoang, but no-one was able to stop the rebound. So the game went straight to penalties, and a tense shootout resulted in a Goldsmiths’ win – unlucky for a hard-working Arts side, but credit to Goldsmiths’ 2nds who refused to throw in the towel. With crowds beginning to build for the later games, fans watching the Netball 1sts match were treated to a thrilling contest as Goldsmiths’ emerged victorious 16-15. UAL hit back with wins in women’s basketball and women’s football in the early afternoon. In the mixed hockey match, a strong Arts side proved to be too much for Goldsmiths to handle as they won 3-2. As 2pm rolled around, Goldsmiths’ cheerleaders and Rugby 1sts prevailed over UAL. With the score tied at 6-6 before the final game of The Arts Cup 2016, tension was high for both camps. Every game of the day apart from Men’s football 1sts had finished and both sets of fans were in full voice. Both sets of players knew how much a win would mean to their fellow students and, after losing the cup last year, Goldsmiths’ seemed to be out for blood. The pitch had taken quite a battering after hosting three football matches that same day, so while the game began with some good movement and passing, it soon descended into a welter of late, scrappy tackles and long balls up field. It was clear that both sides were capable of a higher quality of football but the pitch would not allow it. After three minutes, a slip from an Arts centre-back Luke Cooksey allowed a through ball to reach the Goldsmiths striker which was put straight past goalkeeper John Pownall. Just when UAL seemed to be getting a hold on the game, a scrappy piece of play on the edge of the UAL area resulted in an outrageous goal from a Goldsmiths’ midfielder, a volley from an awkward angle into the top right hand corner. UAL finally managed to get a grip and had some great opportunities through striker Will Mowbray and winger Kovi Konowiecki. But some well-organised defending and a stupendous display from the Goldsmiths’ keeper kept Arts at bay for the remainder of the game which finished 2-0 to Goldsmiths. That meant Goldsmiths lifted The Arts Cup and earned themselves bragging rights for the next 12 months. A great day finished at the Goldsmiths student union where all players joined for an enjoyable evening.